With each juicy bite of exquisitely grilled steak, you're also downing a dose of antibiotics. 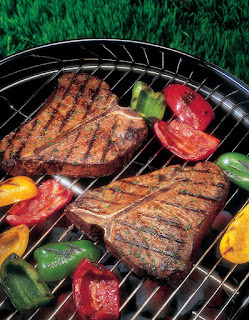 Same for luscious, barbecued spareribs. For savory, roasted chicken. For carne asada and carnitas. For Chinese beef and broccoli and kung pao chicken. Even for a burger or simple ham sandwich. In the U.S., nearly all non-organic beef, pork, and chicken is tainted with antibiotics fed to fatten the animals into profitable robustness, and to ward off diseases and infections caused by extreme overcrowding and unsanitary conditions in modern industrial "farm" factories. Problem is that constant exposure to antibiotics is causing meat-lovers to become resistant to these medications... and newly vulnerable to a wide range of diseases and infections, from strep throat and pneumonia to intestinal, skin, and other infections. And people who are allergic to antibiotics are unknowingly ingesting the dreaded medications with each bite of meat. Andy Warhol painted it. The Paris Exposition awarded it the Gold Medallion for excellence in 1900. American mothers have served it to children for over 100 years. My husband craves it when he's sick. Or busy at work. 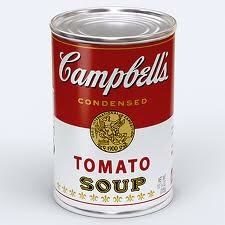 In 2012, Campbell's Tomato Soup still ranks as one of the top ten selling dry grocery items in U.S. grocery markets. Truth be known, it's fairly healthy, too, for canned, modern industrial food. 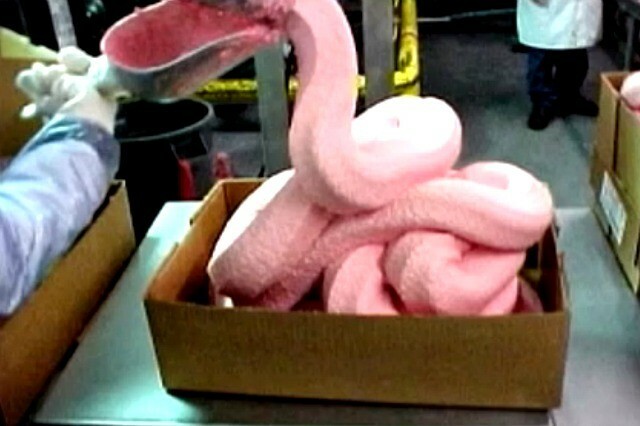 No fat, no cholesterol, no fake colors or flavors. Laced with minerals, iron and Vitamin C. An entire can... two servings... is only 270 calories (before requisite grilled cheese sandwich). Campbell's has added a generous dose of high fructose corn syrup (i.e. sugar) to please America's sweet tooth. And all canned soups are inherently very high in sodium (i.e. salt). Clearly, canned soups are second best to homemade in both taste and nutrition. The soup in Campbell's Tomato Soup isn't the health hazard. It's the can. Campbell's Soup Co., now a profit-hungry multinational corporation with $7.7 billion in annual sales, is one of the major food manufacturers to still line its cans with bisphenol-A (BPA), a hormone-disrupting chemical that can leach from can linings into the foods held inside.